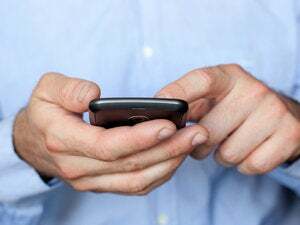 The U.S. Federal Communications Commission should collect more data about the nation's mobile industry in an effort to better assess competition in the space, the U.S. Government Accountability Office said in a report released Thursday. While subscriber prices in the U.S. mobile industry have dropped by 50 percent since 1999, the industry is also consolidating into a handful of large carriers, the GAO report said. The FCC, as a way to protect consumers, should pay attention to the so-called special access rates that large telecom carries charge mobile carriers for access to central switching facilities, the GAO report recommended. "While views differed among stakeholders, some carriers and consumer groups perceive certain FCC wireless policies as having prevented the entry and growth of small and regional carriers, though it is difficult to assess some of these issues without better data," the report said. "In particular, many stakeholders outside of the top national carriers who we spoke with noted that policies for making spectrum available for commercial use, as well as policies governing some essential elements of wireless networks, favor large national carriers, potentially jeopardizing the competitiveness of the wireless industry." Better data on special access rates could help determine whether the charges hinder competition, the GAO report said. Several groups, including Sprint Nextel and the NoChokePoints Coalition have complained that large carriers have charged unnecessarily high special access rates in recent years. The FCC should also better track early termination fees for mobile customers and the cost of switching to a new carrier, the report said. "Many small carriers and consumer groups perceive early termination fees associated with wireless service contracts and exclusive handset arrangements as creating switching costs that serve as barriers to consumer movement," the report added. Three senior Democratic members of the U.S. House Energy and Commerce Committee -- Representatives Ed Markey of Massachusetts, Rick Boucher of Virginia, and Henry Waxman of California -- praised the report. The report shows that the FCC has made progress in its efforts to improve data collection about the industry, but shows there's more work to be done, said Markey, who requested the study. "Over the past decade, consumers have benefited from significantly lower prices for wireless services and better coverage," he said in a statement. "Still, issues such as early termination fees charged by carriers -- which raise concerns both from a consumer protection and a competition standpoint -- handset exclusivity arrangements, acquisition of spectrum and industry consolidation all should be closely examined." The report shows the need for the FCC to enforce network neutrality rules for mobile broadband, said Gigi Sohn, president of digital rights group Public Knowledge. The report shows that the top four carriers control 90 percent of the market, she said. "The report shows the large companies continue to pile up advantages in gaining more spectrum, in exclusive deals for handsets and in locking in consumers with high termination fees," Sohn said in a statement. "At the same time, there is the equally disturbing trend that the investments larger carriers are making in their networks are a smaller proportion of their service revenue than the expenses of smaller carriers." Sohn called on the FCC to act soon on a range of "pro-consumer" items, including net neutrality and handset exclusivity. The trends outlined in the report "do not bode well for consumers, despite any benefits of the moment," she said. CTIA, a trade group representing mobile carriers, said the report shows the mobile industry is competitive. "In finding that wireless consumers are seeing 'lower prices and better coverage,' today's GAO report confirms what we've been saying for a long time -- that the U.S. wireless industry is extremely competitive and continues to respond to increasing consumer demand by delivering real benefits for American consumers," Steve Largent, the group's CEO, said in a statement. The report also points to competitive special-access prices, added USTelecom, another trade group. "GAO's conclusions that wireless prices are falling supports the evidence we have provided to the commission demonstrating that special access prices have also declined" in recent years, Jonathan Banks, senior vice president for law and policy at USTelecom, said in a statement. "Many wireless companies either provide their own alternatives to special access or rely upon competitive alternatives from cable, microwave and CLEC providers." The FCC agrees with the GAO that "data-driven analysis of the wireless marketplace is essential for pro-innovation, pro-competition policies," said Rick Kaplan, chief counsel to FCC Chairman Julius Genachowski. The FCC has taken steps to improve its data and analysis, he said in an e-mailed response to the report.